This is the 2007 Honda Civic LX. The Honda Civic is the benchmark for compact cars. The Civic LX sedan is a superb choice for someone who wants a practical compact car that is smooth, comfortable and quick. 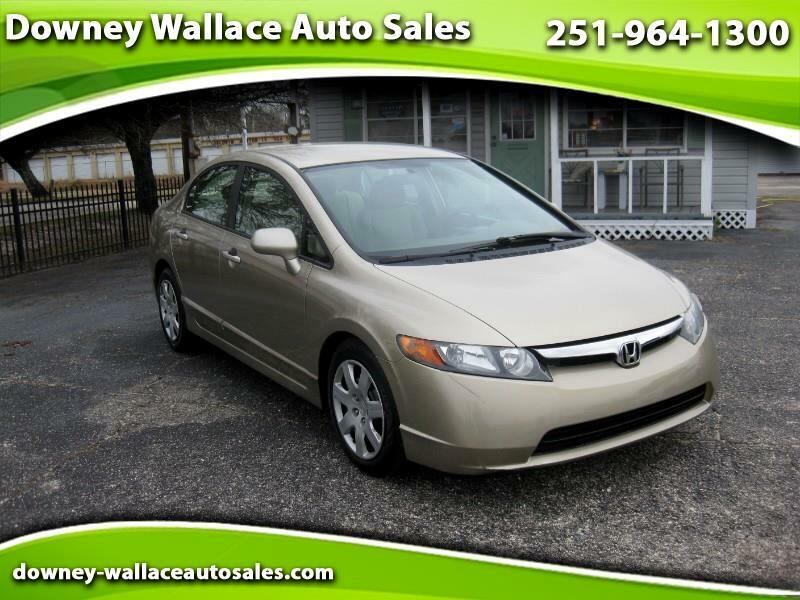 The Carfax report on this 2007 Honda Civic is clean and clear showing NO reported accidents and no current open recalls. The mileage is under the national average which is 15,000 miles each year. This Civic was driven about 10,000 each year. The Honda Civic is an excellent car that will last for a long time and will serve you well. If you know the Honda Civic well you know their great reputation for being reliable and how long they can be driven. I’ve personally known Hondas to last well over half a million miles! You just can’t go wrong with the Honda Civic. Stop by today and check it out.